Da Grahynd Music News: Who is joe Bonamassa? Deerfield Beach, FL, October 1, 2014: In an incredibly competitive release week with 15 new entries in the top 30, blues-rock guitar hero Joe Bonamassa was able to outsell and beat multiple superstar artists on the Billboard Top 10 including Lenny Kravitz, Leonard Cohen, John Mellencamp, and Gary Clarke, Jr. with his brand new solo albumDifferent Shades Of Blue(J&R Adventures) debuting at #8 on Billboard’s Top 200. This is Bonamassas’s highest charting album, first top 10, and biggest sales week ever. The album also earned #1spots on Billboard’s Indie Chart and Blues Chart. This is Bonamassa’s 13th #1 Blues album – more than any other artist. Bonamassa’s Top 10 Debut was engineered by J&R Adventures, the label Bonamassa founded with longtime manager, Roy Weisman. It has divisions in publishing, management, and memorabilia and is branding itself as a disruptive and independent entity in the music business. By vertically integrating its business to meet the needs of the artist and the fans, it gives control to the artist and its management directly, rather than to a handful of outside individuals. From this, J&R Adventures has been able to compete against the major labels in the record industry to generate Bonamassa’s current top 10 chart position. 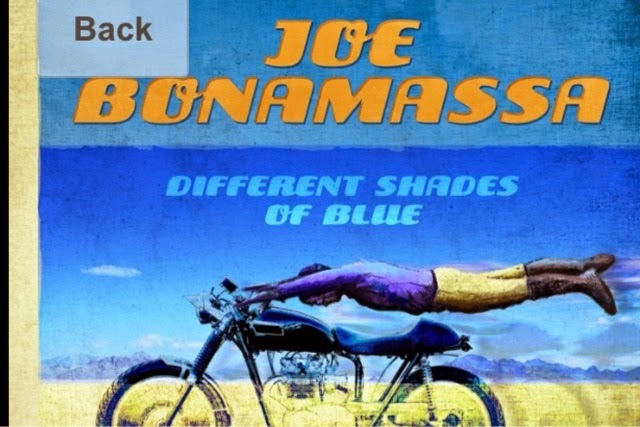 Different Shades of Blue is the first album of Bonamassa’s career to feature all original material and his first solo studio album in two years. He wrote it in Nashville with Jonathan Cain (Journey), James House (Diamond Rio, Dwight Yoakam, Martina McBride), Jeffrey Steele, Gary Nicholson, and Jerry Flowers (Keith Urban). The digital album is distributed worldwide by INgrooves Music Group, as well as physical in the US. The result is a record with more of an experimental edge than previous Bonamassa records. It’s a blues record that explores the outer reaches and the many different sounds that shape the genre. TYGA new single " MAKE IT WORK "
Who is J Taylor's " Push & Pull "
Who is DACOR CAPONE ? Who is Aaron bowers and what is his music like .